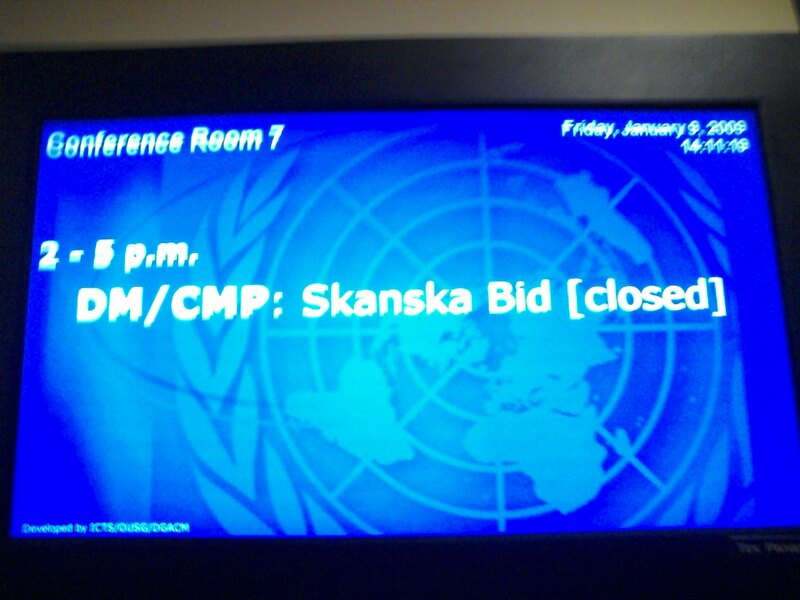 UNITED NATIONS, January 9 -- As the multi-billion dollar renovation of the UN's headquarters moves forward despite the global financial crisis, on Friday in the building's basement a sign announced an event, "Department of Management / Capital Master Plan: Skanska bid [closed]." At Friday's UN noon briefing, Inner City Press asked Secretary General Ban Ki-moon's spokesperson Michele Montas why such an event would be closed to the press and public. "Yes it is not available to journalists," she said, arguing that "it's not uncommon to close bids." 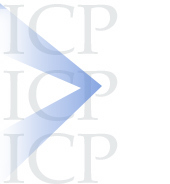 But most governmental agencies in the UN's host county require that such bid-related events be open. Even the UN, when Inner City Press previously complained that the opening of bids to privatize the North American equities portion of the UN pension fund was closed, opened the event to allow it to be viewed and reported on. Inner City Press explained to Ms. Montas the basis of the inquiry, for example to make sure that the lowest qualified bid is in fact selected. "You can be sure it is going to be the case," Ms. Montas said. But with the UN, can you be sure? She said she would find out why the event, slated to begin an hour and forty minutes later at 2 p.m., "should or should not be open." Video here, from Minute 14:37. 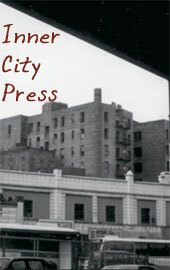 Having gotten not response, Inner City Press at 2 p.m. went down to the door outside Conference Room 7 in the basement. A group of men walked into the room, and an official came out, looked at Inner City Press and emphatically closed the door. 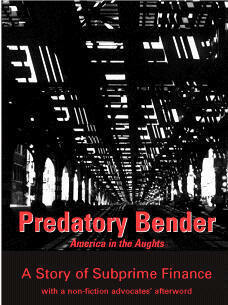 Some time later, three men in dark suits emerged. They spoke loudly as they walked through the basement toward the Capital Master Plan's already renovated offices under the UN library. "The other guys involved are Aon," one of the men said, also mentioning "McWay and Premium," mentioned that the problem with the latter was "they want several contracts." The UN's own Office of Internal Oversight Services and its controversial Procurement Task Force have, by their own account, discovered UN contracts worth hundreds of millions of dollars which are tainted by fraud, favoritism and corruption. Why then on its largest project would the UN insist on keeping events like Friday's closed to the press and global public, which ultimately funds the UN and its work?